A proposal for conversational questionnaires . In Aimée Lahaussois & Marine Vuillermet (eds. ), Methodological Tools for Linguistic Description and Typology. Special issue of Language Documentation & Conservation 16, 155-196. In search of island treasures: Language documentation in the Pacific. In Bradley McDonnell, Andrea Berez-Kroeker & Gary Holton (eds. ), Reflections on Language Documentation 20 years after Himmelmann 1998. 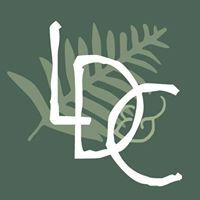 Special issue of Language Documentation & Conservation 15, 276–294. 2018a (Siva Kalyan & Alex François) Freeing the Comparative Method from the tree model: A framework for Historical Glottometry. 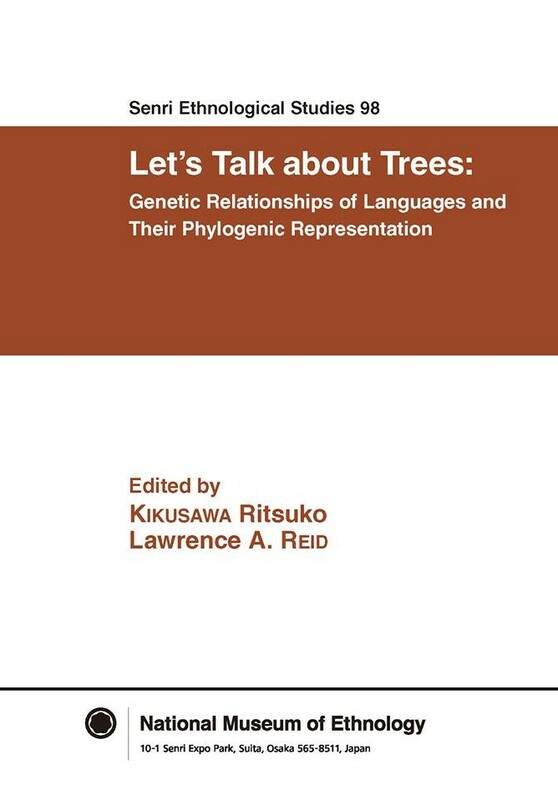 In Ritsuko Kikusawa & Lawrence Reid (eds), Let's talk about trees: Genetic Relationships of Languages and Their Phylogenic Representation (Senri Ethnological Studies, 98). Ōsaka: National Museum of Ethnology. 59–89. 2017b Méthode comparative et chaînages linguistiques : Pour un modèle diffusionniste en généalogie des langues. In Jean-Léo Léonard (ed. ), Diffusion : implantation, affinités, convergence. Mémoires de la Société de Linguistique de Paris, XXIV, 43–82. Louvain : Peeters. The economy of word classes in Hiw, Vanuatu: Grammatically flexible, lexically rigid. In Eva van Lier (ed. ), Lexical Flexibility in Oceanic Languages. Special issue of Studies in Language. 41 (2): 294–357. Bonnet, Rémy ; Céline Buret, Alexandre François, Benjamin Galliot, Séverine Guillaume, Guillaume Jacques, Aimée Lahaussois, Boyd Michailovsky, Alexis Michaud. 2017. Vers des ressources électroniques interconnectées : Lexica, les dictionnaires de la collection Pangloss. Actes des 9èmes Journées Internationales de la Linguistique de corpus, Jul 2017, Grenoble, France. 48–51. The historical morphology of personal pronouns in northern Vanuatu. In Konstantin Pozdniakov (ed. ), Comparatisme et reconstruction : tendances actuelles. Faits de Langues. Bern: Peter Lang. 25–60. [A. François; M. Franjieh; S. Lacrampe & S. Schnell] The exceptional linguistic density of Vanuatu. In The Languages of Vanuatu: Unity and Diversity, ed. by A. François, S. Lacrampe, M. Franjieh & S. Schnell. Studies in the Languages of Island Melanesia, 5. Canberra: Asia Pacific Linguistics Open Access. Pp. 1–21. The ins and outs of up and down: Disentangling the nine geocentric space systems of Torres and Banks languages. In The Languages of Vanuatu: Unity and Diversity, ed. by A. François, S. Lacrampe, M. Franjieh & S. Schnell. Studies in the Languages of Island Melanesia, 5. Canberra: Asia Pacific Linguistics Open Access. Pp. 137-195. Temperature terms in northern Vanuatu. In Maria Koptjevskaja Tamm (ed.). The Linguistics of Temperature. Amsterdam, New York: John Benjamins. Pp.832-857. [Harold Koch, Robert Mailhammer, Robert Blust, Claire Bowern, Don Daniels, Alexandre François, Simon Greenhill, Brian Joseph, Lawrence Reid, Malcolm Ross & Paul Sidwell] Research priorities in historical-comparative linguistics: A view from Asia, Australia and the Pacific. Diachronica, 31: 2, 267–278. 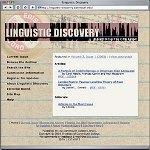 [Boyd Michailovsky, Martine Mazaudon, Alexis Michaud, Séverine Guillaume, Alexandre François & Evangelia Adamou] Documenting and Researching Endangered Languages: The Pangloss Collection. Language Documentation & Conservation 8 (2014), 119-135. (with Maïa Ponsonnet) Descriptive linguistics. In Jon R. McGee and Richard L. Warms (ed. ), Theory in Social and Cultural Anthropology: An Encyclopedia, vol.1, 184-187. SAGE. Shadows of bygone lives: The histories of spiritual words in northern Vanuatu. In Robert Mailhammer (ed.). Lexical and structural etymology: Beyond word histories. Studies in Language Change, 11. Berlin: DeGruyter Mouton. Pp.185-244. Ditransitive alignment and referential hierarchies in Araki. In Eva van Lier (ed), Referential Hierarchies in Three-participant Constructions. Special issue of Linguistic Discovery, 10: 3 (Nov 2012). 2012a The dynamics of linguistic diversity: Egalitarian multilingualism and power imbalance among northern Vanuatu languages. In P. Unseth & L. Landweer (eds), Language Use in Melanesia. International Journal of the Sociology of Language. 214, 85–110. 2011c Social ecology and language history in the northern Vanuatu linkage: A tale of divergence and convergence. Journal of Historical Linguistics 1 (2). 175-246. Where *R they all? The history and geography of *R loss in Southern Oceanic. Oceanic Linguistics 50 (1), June 2011, 142-199. Le mwotlap. In Emilio Bonvini, Joëlle Busuttil & Alain Peyraube (eds), Dictionnaire des Langues. Quadrige. Paris: Presses Universitaires de France. Pp.1247-1253. Phonotactics and the prestopped velar lateral in Hiw: Resolving the ambiguity of a complex segment. Phonology 27 (3): 393-434. Pragmatic demotion and clause dependency: On two atypical subordinating strategies in Lo-Toga and Hiw (Torres, Vanuatu). In Isabelle Bril (ed. ), Clause hierarchy and Clause linking: The Syntax and Pragmatics interface. Amsterdam, New York: Benjamins. Pp.499-548. Des valeurs en héritage: Les isomorphismes sémantiques et la reconstruction des langues. In Injoo Choi-Jonin, Marc Duval & Olivier Soutet (eds), Typologie et comparatisme. Orbis-Supplementa 29. Louvain: Peeters. Pp.129-145. The languages of Vanikoro: Three lexicons and one grammar. In Bethwyn Evans (ed). Discovering history through language: Papers in honour of Malcolm Ross. Pacific Linguistics 605. Canberra: Australian National University. Pp.103-126. Verbal aspect and personal pronouns: The history of aorist markers in north Vanuatu. In Andrew Pawley & Alexander Adelaar (eds). Austronesian historical linguistics and culture history: A festschrift for Bob Blust. Pacific Linguistics 601. Canberra: Australian National University. Pp.179-195. Semantic maps and the typology of colexification: Intertwining polysemous networks across languages. In Martine Vanhove (ed.). From Polysemy to Semantic change: Towards a Typology of Lexical Semantic Associations. Studies in Language Companion Series, 106. Amsterdam, New York: Benjamins. Pp.163-215. Noun articles in Torres and Banks languages: Conservation and innovation. In Jeff Siegel, John Lynch and Diana Eades (eds), Language Description, History and Development: Linguistic indulgence in memory of Terry Crowley. Creole Language Library 30. Amsterdam, New York: Benjamins. Pp.313-326. Serial verb constructions in Mwotlap. In R.M.W. Dixon & Alexandra Aikhenvald (eds), Serial Verb Constructions: A cross-linguistic typology, Explorations in Linguistic Typology. Oxford: Oxford University Press. Pp.223-238. Unraveling the history of the vowels of seventeen northern Vanuatu languages. Oceanic Linguistics 44 (2): 443-504. Dec 2005. Honolulu: University of Hawai'i Press. A typological overview of Mwotlap. Linguistic Typology 9-1: 115-146. Diversité des prédicats non verbaux dans quelques langues océaniennes. In Jacques François et Irmtraud Behr, Les constituants prédicatifs et la diversité des langues: Actes de la Journée de la Société de Linguistique de Paris. Mémoires de la Société de Linguistique de Paris. Louvain: Peeters. Pp. 179-197. Reconstructing the geocentric system of Proto Oceanic. Oceanic Linguistics 43 (1), 1-32. June 2004. Chains of freedom: Constraints and creativity in the macro-verb strategies of Mwotlap. In I. Bril et F. Ozanne-Rivierre (eds), Complex predicates in Oceanic languages: Studies in the dynamics of binding and boundness. Empirical Approaches to Language Typology. Berlin: Mouton de Gruyter. Pp. 107-143. La réduplication en mwotlap : les paradoxes du fractionnement. In É. Zeitoun (ed. ), Les langues austronésiennes. Faits de langues n°24: 177–194. Of men, hills and winds: Space directionals in Mwotlap. Oceanic Linguistics 42 (2): 407-437. Dec 2003. Honolulu: University of Hawai'i Press. Gabarit de procès et opérations aspectuelles en motlav (Océanie). Actances (Papers of the RIVALDI research group) 11, 145-175. Dérivation lexicale et variations d'actance: petits arrangements avec la syntaxe. Bulletin de la Société de Linguistique, vol. XCV: 1, 15-42. Vowel shifting and cloning in Motlav: historical explanation vs. formal description. In Marian Klamer (ed. ), Proceedings of AFLA 7 (The Seventh Meeting of Austronesian Formal Linguistics Association). Vrije Universiteit Amsterdam: Amsterdam. Pp.49-68. L'illusion des classificateurs. In La catégorisation dans les langues. Faits de Langues 14: 165-175. Mouvements et clonages de voyelles en motlav: entre phonologie et morphologie. Bulletin de la Société de Linguistique, vol. XCIV: 1, 437-486. Ben en français oral, l’énonciateur (dés)engagé. In Bernard Caron (ed. ), Proceedings of the XVIth International Congress of Linguists. Pergamon: Oxford. 24 pages [CD-Rom].